The Chinese currency rose as the strongest in terms of real effective exchange rates among nine Asia-Pacific countries, followed by the Philippines peso, Standard & Poor’s Global Ratings said in a report. "The Philippine peso was second with 29.9 percent," the global debt watcher noted. “The Chinese government has been loosening its control over the Chinese yuan to bring the currency closer to its fundamentals. 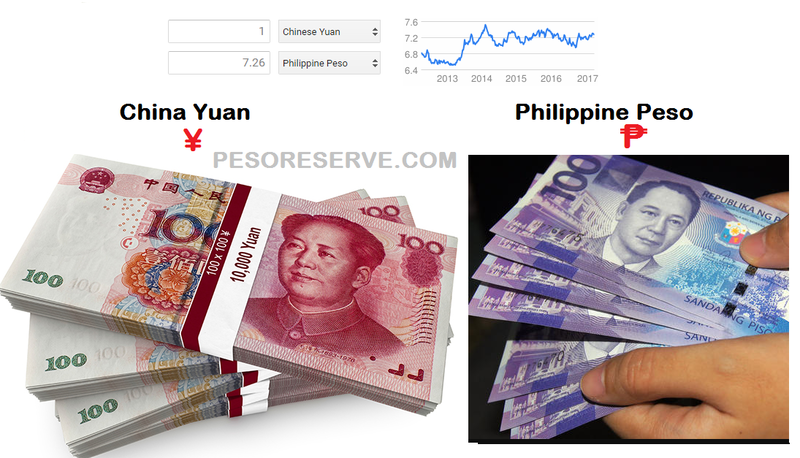 This might be the reason why the yuan strengthened significantly,” Guian Angelo Dumalagan, market economist at the Land Bank of the Philippines, told GMA News Online. “As for the Philippines, the country has grown tremendously in the past decade. The proportion of the country's foreign debt declined making the country less affected by external headwinds,” Dumalagan noted. The Philippines has also accumulated a sizable amount of foreign reserves, giving it added buffer from external risks. “These have contributed to the peso's strength,” the LandBank economist said. The International Monetary Fund defines real effective exchange rate (REER) as a measure of the value of a currency against a weighted average of several major currencies and adjusted to the effects of inflation. In its study, S&P examined three external indicators of currency manipulation – REER, current account balances, and official (foreign) reserves – and found that China showed the least evidence of currency manipulation. Given the reemergence of currency manipulation in the US policy debate, the debt watcher said it examined three external indicators of manipulation over a 10-year period to see how the nine economies stack up. "The big surprise is that China came in last place, showing the least evidence of currency manipulation," Paul Gruenwald, Asia-Pacific chief economist for S&P Global Ratings, said. "This result derives from its having a sizable decline in the current account-to-GDP ratio; the strongest real effective exchange rate; and a relatively sharp decline in reserves,” Gruenwald added. According to S&P, current account balances, the first indicator, have trended downward over the past decade for most of the nine economies, with Malaysia and China showing the largest declines. "This suggests that the Chinese authorities allowed their currency to adjust more than any other economy in the region," Gruenwald said. The level of official reserves is the most direct indicator of currency intervention, and a rising level is usually considered as evidence the central bank is in the market intervening to prevent the currency from appreciating. Taiwan and Thailand, with the two largest reserves, saw their reserves-to-GDP ratios rise most over the past decade, S&P noted.